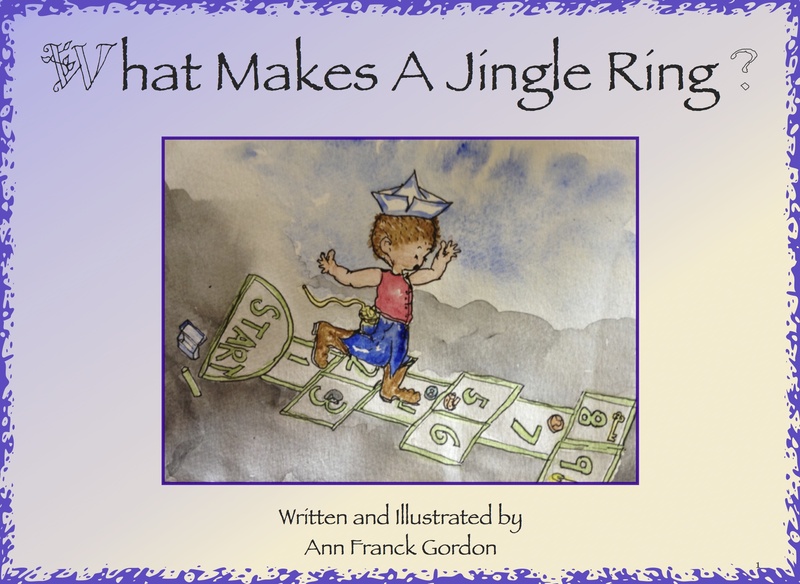 A downloadable e-book version (PDF) of my first children’s book, What Makes a Jingle Ring. 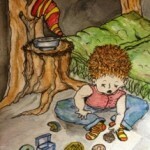 This is a downloadable e-book version (PDF) of my first children’s book, What Makes a Jingle Ring. It looks great on almost any computer, and works especially well on tablets like the iPad or Kindle Fire. I may also publish versions on Apple’s iBookstore or Amazon’s Kindle store, but I haven’t gone through that process yet. I would also love to publish a print version, but I decided to go ahead and do the e-book version first. Please let me know if you’d be interested in purchasing a print version or if you’d like to see it on the iBookstore or Kindle store. The more people I hear from the more likely I’ll be to put in the time to figure out how to make it work! If you have any trouble with the download, just email me your receipt, the nature of your problems, and I’ll be happy to transfer the file to you in another way. A child’s pocket fills with many things: pieces of the day that carry memories of adventures and moments of awe. Delve into this little boy’s menagerie of things at the end of his day, and enjoy his rhyming climb up to his bedroom in his tree! He kicks off his boots and rummages through his back pocket with one more mystery to solve: What is making that jingling sound? In his systematic struggle to solve this mystery, he experiences quite the gamut of feelings! When he finally ‘gives up,’ he is surprised and delighted by his accidental discovery of What Makes a Jingle Ring! Ann brings her years of work with children and her keen sense of delight in the natural world to her first published children’s book. 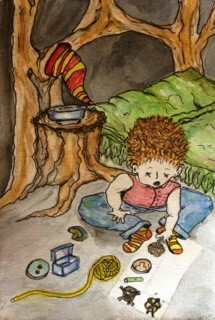 She takes one ‘aha’ moment of a child and brings it to life in an freshly inviting story of discovery. 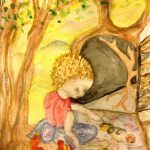 Her illustrations evolve with the story, and bring in other pieces of nature to help this little guy resolve his mysterious problem at the end of his day. 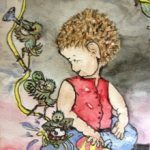 Though there is really only one character in this story, Ann’s illustrations give the readers a sense of “ONE BIG MANY,” a fresh glance on the value of creating more together than we can alone. 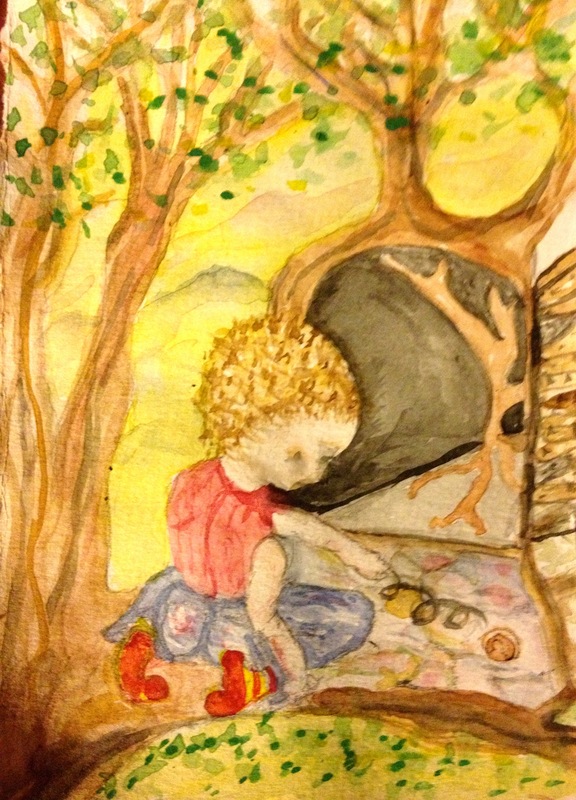 This ‘read aloud’ picture book will be enjoyed by children and adults alike for years to come. There’s a playfulness in the illustrations, as the birds carry on their own interpretations of What Makes a Jingle Ring! 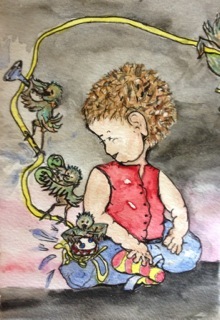 A child will want to revisit the pages just to find what surprising ways the birds play along as well. Be the first to review “What Makes a Jingle Ring” Click here to cancel reply.